The latest incarnation of The Selecter (with original members Pauline Black and Arthur "Gaps" Hendrickson) will be releasing its third album since reforming five years ago. Subculture is slated to be issued on March 30, 2015 from Vocaphone Records and the band will be touring the UK in February and March, finishing things off with a big show at Koko in London on March 28. I happened to catch The Selecter's concert at the Gramercy Theater when they last played New York City in 2013 and they were in excellent form (I had a blast!). Here's hoping they return here soon. New Video of "Easy Life" from "Rhoda Dakar Sings The Bodysnatchers"
Here's a new video from Rhoda Dakar in support of her brilliant album of new recordings (with two of The Specials backing her!) of both unreleased and classic Bodysnatchers material (read The Duff Guide to Ska review of Rhoda Dakar Sings The Bodysnatchers here). Cool factoid: Some of the photos used in the video were sent in by fans (and she's happy to feature more in future videos!). New Specials Dates Announced for the Vivo Latino 2015 Festival and Lollapalooza Chile Festival! In addition to the already announced Specials show at Mexico City's El Plaza Condesa on March 12, 2015, the band is slated to play the Vivo Latino 2015 festival, also in Mexico City, at the Foro Sol on March 13. After that, they jet down to Santiago to perform at the Lollapalooza Chile festival on March 15. There are going to be a lot of lucky and happy ska fans in Mexico and Chile this March! My big hope is that The Specials will remember how well NYC ska fans treated them when they last played here in 2013. 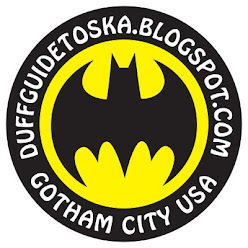 Please, please make a stop in the Big Apple on this tour! 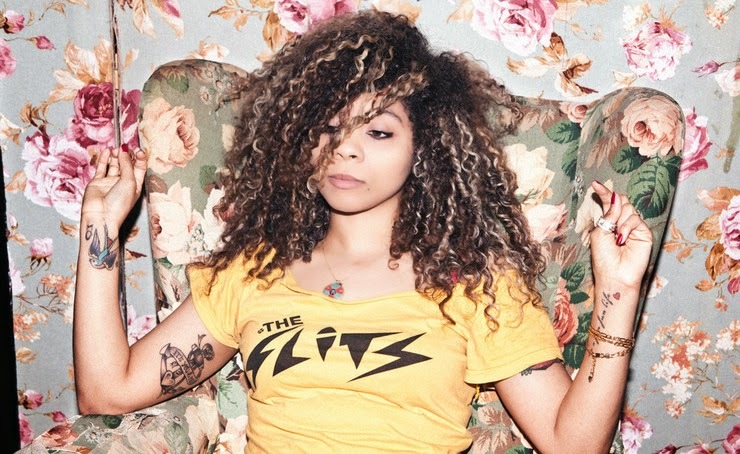 The Pilfers Record Release Party w/Leaving Lifted, Fear Nuttin Band, The Rudie Crew, Sweet Lucy, Rude Boy George, The Native Alien Tribe, plus special guests and DJs! 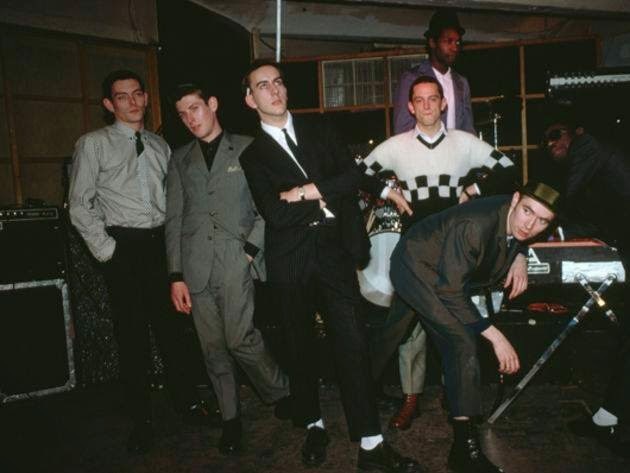 There was a minor freak out in the ska and new wave circles on the internet yesterday when it was announced that on March 30, 2015, 2 Tone Records/Warners Catalogue would be re-releasing remastered versions of The Specials' three albums proper with new, alternative covers; liner notes by Lois Wilson (music writer for Mojo Magazine and Record Collector); unseen photos of the band by punk/new wave-era NME photographer Chalkie Davies (who shot the original cover photos for all three albums); and bonus material (on the second CD of each release), some of it appearing on compact disc for the first time. All of this has Jerry Dammers' blessing. Both Uncut and Slicing Up Eyeballs have all the details. 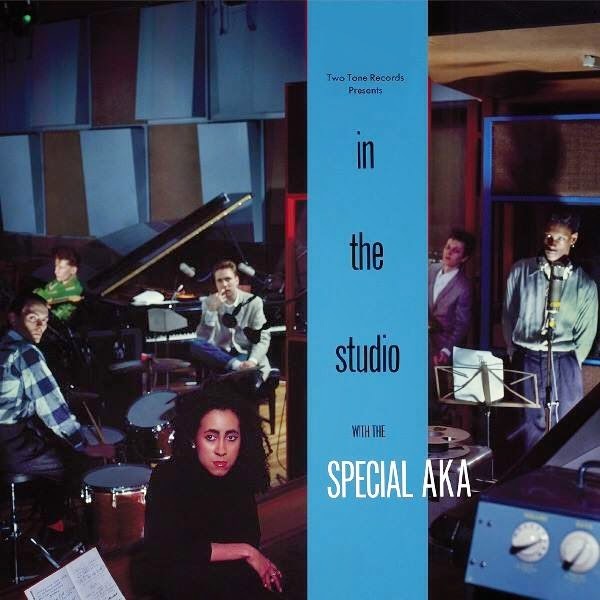 As for the bonus material, I (and probably most long-time Specials' fans) have all of it on various releases/formats--with the exception of the recording of The Specials performing for the BBC in concert at the Paris Theatre on December 15, 1979. Still, these versions will be tempting for completists. A commenter on the Mojo website noted how nice it would have been to include the (amazing!) videos that comprised The Special AKA's "On Film" on the new In the Studio re-release, since this video collection was only released on VHS in the UK and Laserdisc in Japan way back in 1984. For fans in North America, the more momentous news may be that The Specials are booked to perform their first concert in Mexico--in Mexico City's El Plaza Condesa on March 12, 2015 (without Jerry, Roddy, or Neville, I think). Hopefully, this means that dates in the U.S. are in the works, too (come back to NYC--your last show here on a pier on the Hudson River in 2013 was so good and so much fun!). "Be Stiff: The Stiff Records Story"
As someone who worked at a pretty unconventional indie record label in the 1990s and is completely obsessed with 1980s new wave music, I gleefully devoured Richard Balls' (how's that for a punk rock name, intentional or not?) terrific "Be Stiff: The Stiff Records Story." This book recounts the rise and fall (1976-1985) of this boldly unorthodox label founded by pub act managers Jake Rivera and Dave Robinson, both of whom were motivated to start Stiff by their frustration at the majors' maddening refusal/inability to recognize and develop some of the amazing talent in the nascent punk and new wave scenes. Stiff's roster included The Damned ("New Rose" is considered to be the first punk single ever released), Elvis Costello, Nick Lowe, Ian Dury and the Blockheads, Wreckless Eric, Lene Lovich, Richard Hell and the Voidoids, The Adverts, The Belle Stars, Tenpole Tudor, Tracey Ullman, The Pogues, Devo, Kirsty MacColl, Dave Edmunds, Graham Parker and the Rumor, The Members, Motorhead, Dirty Looks (power pop from Staten Island, NY! ), Rachel Sweet, the Plasmatics, Yello, and many more. And the label was celebrated for its innovative and cheeky marketing campaigns for releases and package tours; releases aimed at collectors (several versions of a single issued on different colored wax; the use of picture sleeves; and limited-edition runs of 45s); pre-MTV music videos; as well as often extraordinary graphic design, the bar set very high by the incredible Barney Bubbles (who also has a big ska connection--he directed video for The Specials' "Ghost Town"). Dave Robinson hired Madness to perform at his wedding essentially as an audition for the label, since he had heard a lot of great things about the band--who had only played their first gig a few months earlier--but had been unable to arrange to see them live. What helped seal the deal--according to Madness bassist Mark "Bedders" Bedford--was Elvis Costello's reaction to Madness' set: "...Dave [Robinson] said, 'I couldn't believe it. If Elvis Costello is dancing then you must be doing something right.'" Madness' dressing room at Robinson's wedding featured black and white square carpeting--something they noted at the time and returned to for the "Bed and Breakfast Man" video shoot after they had signed to Stiff. The Equators--an all-black Birmingham ska band that formed in 1977, two years before 2 Tone--were featured on the 1980 "Son of Stiff" package tour in the UK and released the truly excellent Hot in 1981, which did not have much chart success (the album came out just as 2 Tone was flaming out and The Equators' sound may have been a bit too polished and rock/jazz/pop influenced for what was expected by 2 Tone fans at the time; though give it a listen now and you'll be left scratching your head to as why it wasn't a massive hit). Soon after forming The Beat, Dave Wakeling is quoted in "Be Stiff" as saying, "...just when we thought we'd discovered something new, we discovered The Equators right in our home town of Birmingham, who had already come up with a similar formation..." As for why The Equators went with Stiff instead of the more natural fit of 2 Tone, Equators' singer Donald Bailey stated, "We thought, 'Hey, we were playing this music before the 2 Tone thing came out. Why give it to 2 Tone?'" Hoping to capitalize on 2 Tone's enormous success--and Desmond Dekker's previous UK chart hits from 1967 to 1970 with "007," the #1 hit "Israelites," "It Mek," and "You Can Get It If You Really Want It"--Robinson arranged for the King of Ska to release two albums, Black and Dekker (recorded with Graham Parker's Rumours, The Equators, and the Akrylykz backing him and featuring good-to-great new recordings of many of his previous hits; 1980) and Compass Point (produced by Robert "Addicted to Love" Palmer and apparently a complete mess; released in 1981). Neither of these albums nor a slew of singles managed to return Dekker to the charts (last summer, I picked up his cover of The Heptones' "Book of Rules," released in 1982 on Stiff and it's pretty fantastic). Lastly, if you check out Stiff's discography in the back of the book, you'll note that Stiff licensed and released The Potato 5's first 7" single ("Western Special" b/w "Big City") from Gaz's Rockin' Records (but Stiff's closing shop prevented further deals, forcing Gaz to get his label up-and-running on his own). 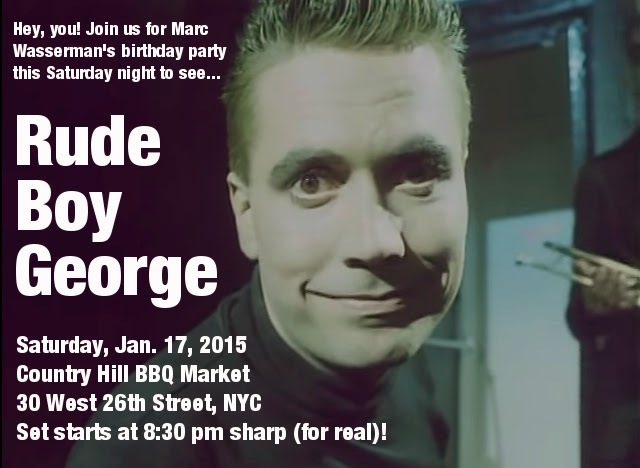 Rude Boy George Tonight (1/17/15) at Country Hill BBQ Market in Manhattan (No Cover)! Sadly, Jerry won't be there (of course, he's certainly welcome to come!) --though we hope you can join us if you're in the NYC area tonight! Originally, this was going to be a private party for our bass player Marc Wasserman's birthday, but the venue has kindly allowed us to invite the public and there is NO COVER. Rude Boy George goes on at 8:30 pm sharp (there's another event after our performance), so get there on time! Cowboy boots and ten gallon hats are optional. Hope to see you there! Ska and reggae fans willing to venture just a tiny bit beyond the safe and tried-and-true traditional musical confines of these genres will want to be sure to take a listen to the fantastic new five-track Quest EP from ace Baltimore/DC rocksteady crew The Scotch Bonnets in collaboration with the Bad Brain's singer H.R. (Human Rights, AKA Paul Hudson). 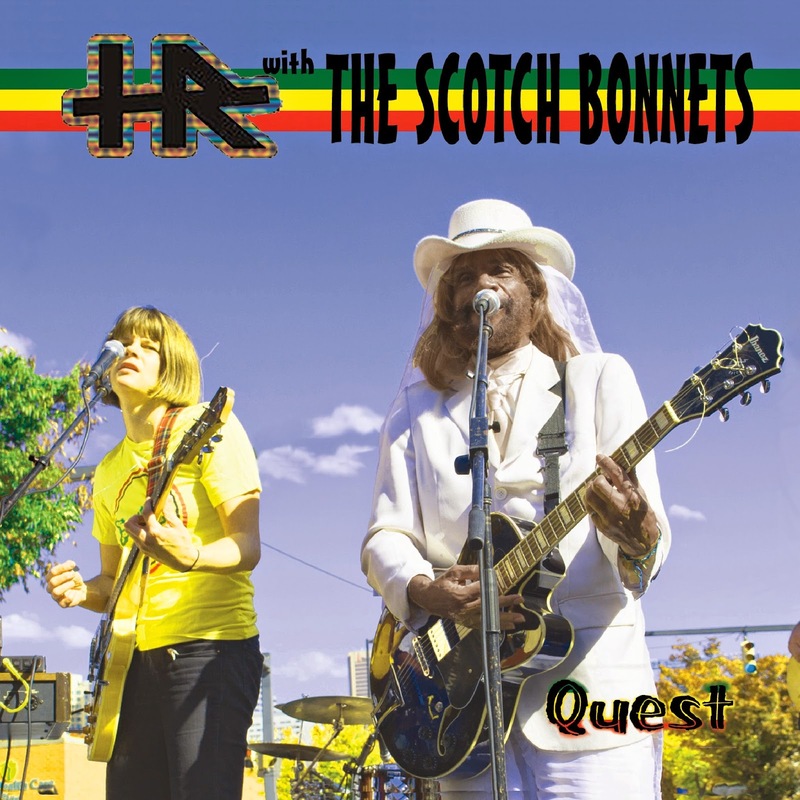 This meeting of musical minds and formidable talents yields a recording that is a brilliant blend of The Scotch Bonnets' ska/rocksteady/soul with H.R. 's otherworldly and very spiritual reggae. And then your quest will bring you peace of mind"
Lady Hatchet's "Cheyenne" is a sprightly and wonderfully bright knees-up ska tune that to these ears sounds like something that could have come off of Bad Manners' 1989 Return of the Ugly album (their best record and a highlight of the mid-to-late '80s UK ska scene)--a cut that Nick Welsh might have written (think "Memory Train," "Since You've Gone Away," or "Rosemary"--ska songs with pop hearts beating within). It's written from the point of view of a "traveling man" who has fallen for a woman, much to the displeasure of her mother--who's doing all she can to put a stop to things. The track sports a terrific everybody-sing-along chorus (and check out the King Hammond-y organ solo): "Cheyenne, I don't care what your mother thinks/She don't know what the future brings/When you and I will still be friends." If there was such a thing as a Billboard ska top ten ska in some alternate universe, this would be all over it. Where you've been out running around? Can hear you hear the howl of the dogs? And I don't want to come down--no! Why ruin the magic of action with conversation? And I just want to...walk the plank"
H.R. 's and Pablo Fiasco's "Universal Love" is a trippy/dubby rocksteady cut that features H.R. professing his unwavering and boundless love and devotion to his woman: "I'll never let you down/I'll never break your heart/I'll never let you down/I'm only yours from the start/No matter what they say/I'm always here for you/Just remember every day, I love you, I love/My universal love..."
Lastly, "H.R. Psalm" features H.R. reciting Psalm 45 from the King James version of the Bible over a mesmerizing reggae track (that conjures visions of wandering through the Judean desert). This particular psalm is a wedding song, written to the king on the day of his marriage to a foreign woman--but it is also interpreted as a Messianic prophecy, with Jesus as the king and Israel as the bride. Don't let this gem of an EP slip past you in the white noise of your life! Attention must be paid to The Scotch Bonnet's and H.R. 's Quest, since it's some of the best music the US ska scene has to offer! Hollie Cook at Highline Ballroom in Manhattan Tonight! I haven't had the chance to post a NYC ska/reggae calendar lately (sorry, too much going on! ), but I do want to point out that Hollie Cook is playing at the Highline Ballroom tonight (tix at the door are $25). Unfortunately, this isn't more of a ska or reggae bill, but that shouldn't deter you (be open to new sounds!). Ms. Cook's most recent album, Twice, came out this past summer and is highly recommended (read The Duff Guide to Ska review of the first single off that record--"Looking for Real Love" b/w "99"--here)--and her stunning debut album is essential to any collection (check out my review of it here)!